Thursday, April 21 is designated as a public holiday in the Virgin Islands in observance of the 90th Birthday of Her Majesty Queen Elizabeth II and the 50th Anniversary of her first visit to the Territory. His Excellency the Governor Mr. John S. Duncan, OBE, in accordance with section 5 of the Public Holidays Act and with the advice of Cabinet, by proclamation, reserved the reigning sovereign’s birthday as a public holiday. 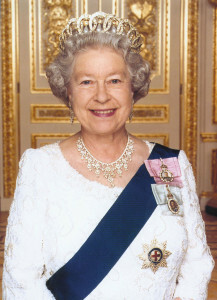 The Queen’s Birthday is traditionally observed in the Territory in June. The Cabinet of the Virgin Islands has appointed a 12-member committee chaired by Deputy Governor Mrs. V. Inez Archibald, CBE to oversee the planning of events to commemorate the anniversary visit and the Queen’s birthday. In a few weeks, the committee will inform the public about the activities planned to commemorate the celebration. Her Majesty the Queen made her first visit to the Territory on February 23, 1966. She was the first sovereign to visit the Territory. She was accompanied by her husband, His Royal Highness Prince Philip, Duke of Edinburgh. During that visit, Her Majesty opened the Sir Francis Drake Highway and the Queen Elizabeth II Bridge. She toured Peebles Hospital, Government House, the Territory’s secondary school and the Agricultural Station in Road Town. She also visited Virgin Gorda and the Little Dix Bay Hotel. At the official ceremony to welcome The Queen, the Administrator of the Territory, Martin Samuel Staveley presented Her Majesty with a gift, in the form of a Virgin Islands sloop. Subsequently, Her Majesty visited the Territory in 1977. In September 2015, Her Majesty, Queen Elizabeth II became the longest reigning monarch. The Queen is Head of State of the United Kingdom and 15 other Commonwealth realms.